We leave Sesriem and start our long haul back to Joburg. Tonight we stop in Keetmanshoop, Namibia at the Mesosaurus Fossil Camp. A very long day of driving – all the way to Kuruman, South Africa where we spend the night at the Red Sands Country Lodge. We will drive almost all of the way to Joburg, stopping about an hour away. No camp booked yet, but we are expecting to stay somewhere near Magaliesburg. *Special Happy Birthday to Dana Edition! Happy Happy Birthday! 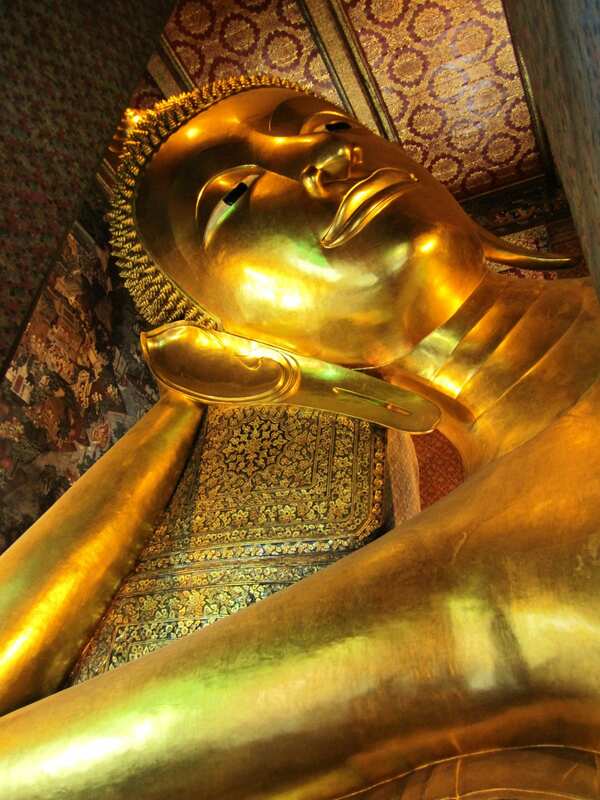 The famous Reclining Buddha is found in the Temple complex of Wat Pho in Bangkok, Thailand. The large statue is 15 m high and ~40 m long and golden. He lays on his side, relaxing! There are some items that we share in our packing that didn’t really fit onto Eric or Della’s personal list.